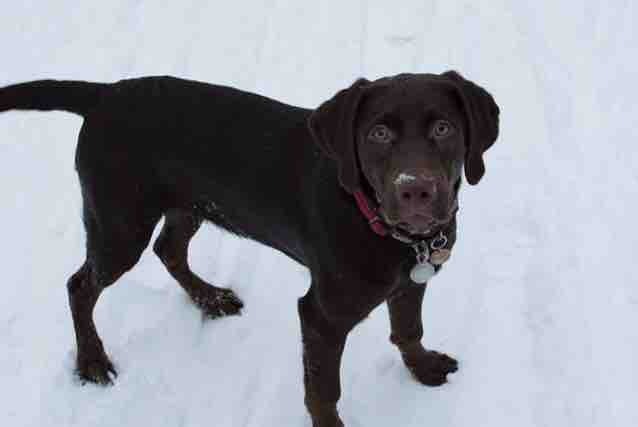 On Saturday December 30th, 2017 at 5:20pm, Remy, our 6 month old chocolate lab was hit by a speeding vehicle. She immediately was distressed and bolted. We did a night search that whole night with many volunteers from our community with no luck. We then searched endless fields with K-9 units, more volunteers from Facebook groups, still no luck in finding our baby girl. We found blood and scent but no Remy. TWO FULL NIGHTS LATER after New Years and fireworks, being hit, tons of prayer, Remy was sighted in distance at the end of a field. They were able to get her and now we have her at the VET to do a work up and surgery... we are concerned but hopeful and overjoyed to have her back! After Christmas, funds are very tight. We have already had endless support from our community and so many volunteers, but we are asking if anyone ANYONE can spare your prayers or any donation. 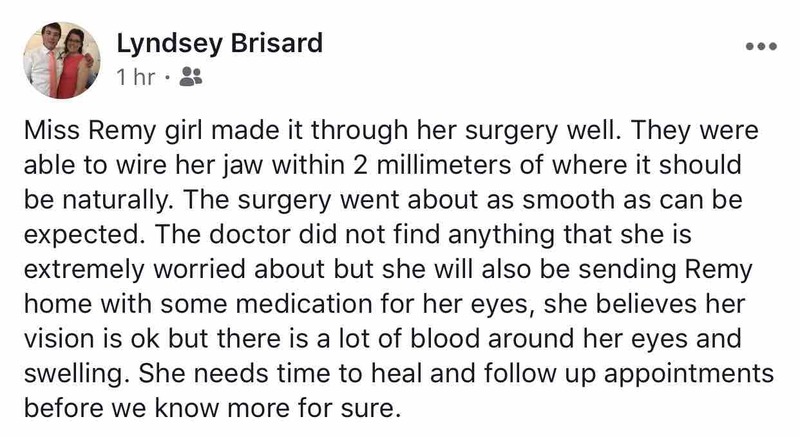 We are awaiting details at the moment of what surgery, work, etc she will need. We will have an exact amount here VERY SOON.Thank you everyone. We are so joyful. We have been able to receive a loan for the amount of money needed to start the surgery to have our Remy fixed up and begin her recovery. We are so grateful. THANK YOU EVERYONE who is donating PSA We wanted to let everyone know though that we still are requesting donations because this loan is just that, a loan. The vet bill is a lofty amount, more than we have, and we want to pay back the loan as soon as we can because it’s been made by family members and friends who need that money but recognize the severity of our situation. Please read below. This is Remys mamma. Thank you EVERYONE. Unfortunately, we were denied for Care Credit when Remy’s mamma and daddy applied. We are still hopeful that we will be able to gather the needed funds. We’re looking into other options as well. Thank you so so much, everyone, for every donation.